“Koi Dragon” Custom Labbit Revealed! 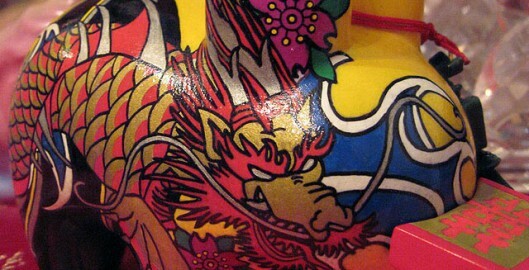 So here it is, my “Koi Dragon” custom 5″ labbit that I completed for my buddy in Cali, Linh. Ok here is a quick teaser of the custom completed labbit I recently finished for a good buddy of mine. I will post non-blurred pics once he gives me the go ahead to show them. It has a complete back story and meaning(s) as well! Until then, try to figure out what it is! As an added bonus, this was my first time using small Sculpey on it…! Thought I’d give a quick blog update by showing a sneak peek of a custom labbit commission. Sorry for the crappy pic, I took it w/ my old cell phone! If you can make out what it says, you may be able to figure out the theme I’m going for! No peeks of the other side till it’s done! Most Important Project I Can Never Finish! Of all the projects I involve myself in, there is always one project that ranks #1 in importance to me but I can never finish it, and that project is my own personal website. I have a URL that I purchased 4 years ago, and still have not put up anything! My URL is located at AW177.com, and if you go there, you’ll notice the same page I’ve had up for years: AW177 Coming Soon. Reason for not putting a page up? Indecisiveness, procrastination, laziness, etc. In one of my classes at NYU, my web design instructor said one of the hardest sites to do is your own portfolio site since you want it to be so perfect, you can never find the way to do it correct, so best is to let someone else take it over! I may have to do that one day! I have one in the works and let’s hope I can complete it by the end of this year. I want to finish off this one custom and start back working on it…check back to AW177.com in 2 months and let’s hope something is up by then! 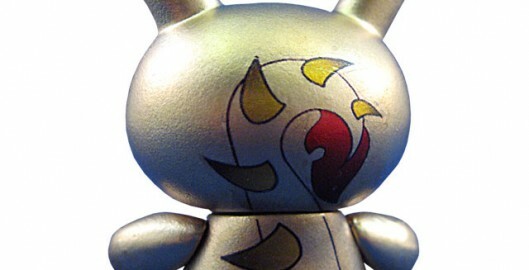 Kidrobot Forums Messageboard Artist Series 1 Release! Hope you’ll go purchase some! Hope for those who get my dunny, they’ll like it! Born and raised in Queens, NYC, AW177 is a self taught artist/designer with a bright and vivid style influenced by his Chinese roots, Asian motifs and culture, graffiti and technical illustration. Educated and trained as an engineer to computer/software technician, but always keeping to art/design, he hopes to now bring his style to a multitude of products and to a wide variety of people. The name AW177 is an amalgamation of initials of his real name along w/ numerals that hold a special meaning to him. The same can be said with his artwork – an amalgamation of different mediums, subjects and ideas that work together to form pieces of unique art that have special meanings. AW177 started out designing and creating paraphernalia for small clients, to web site and logo design, to customizing art/vinyl toys, and to hopefully much more in the upcoming future! Currently still living and working in Queens, NYC, AW177 lives with his beautiful (and supporting) wife, constantly striving to bring unique pieces of art and design to the world. The Start to a New Beginning! After contemplating for a while now about whether or not to begin a blog, I finally decided to take the plunge after some advice from a buddy of mine, John ‘Spanky’ Stokes: “…blogs are fun, and for you a great way to show and catalog your work!”, which I can’t agree enough with! I always wanted to catalog my work, look back and see how far I’ve grown and how far I’ve come (hopefully) as an artist/designer! With that said, I am happy to start the beginning of my new blog site and hopefully the start to a new beginning in art/design as well. I hope you’ll enjoy reading my blog – I’ll try to update it as much as possible! Thanks all!